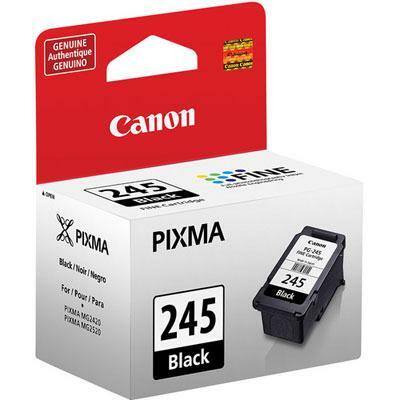 Experience crisp, smudge-resistant professional quality text with the PG-245 Pigment Black Ink Cartridge. Designed with FINE (Full Photolithographic Inkjet Nozzle Engineering) technology, your documents will realize added sharpness, detail and quality. This genuine Canon ink cartridge is compatible with select PIXMA printers. Remember, a genuine Canon XL ink cartridge means high capacity, which means more ink for more prints!